We’ve been exploring the Action aspect of the Buddha’s Eightfold Path, with the specific focus of how using the word ‘spacious’ affects our understanding. No exploration of this aspect would be complete without discussing the Five Precepts. These are the vows we take at the beginning of a retreat, but they are also commitments we make as Buddhist practitioners. The first is to refrain from harming or killing. At first glance this seems easy for most of us. We have no wish to shoot or maim. But of course as we sit with what this means, it unfolds to reveal the myriad ways we might be causing harm or even killing without intention to do so. We use the skillfulness and wisdom that we have developed through our practice and through life experience to help us see more clearly. We accept that sometimes our actions will be unskillful, momentarily unmindful and operating out of life long habits, or simply unable as yet to see the harm we may have caused. We use each experience as a lesson to learn from, to increase our sense of connection and understanding. We make reparations as best we can, and then we let it go. The second precept is to refrain from stealing or taking what is not freely given. Again, at first glance this seems easy for most of us. We have no urge to rob a jewelry store. But as we sit with what this means, it unfolds to reveal the myriad ways we might be taking from others without their having offered it. This is more often true with the people who are closest to us, where we may assume the right to take or even feel they have the obligation to give to us. Our expectations about what constitutes an intimate relationship get in the way of seeing clearly that we are taking what has not been freely given. This is a valuable area to observe. For some of us there may also be a gray area around theft when it comes to large corporations or faceless institutions. In a state of disconnect we cannot see how what we are doing hurts anyone. But as we look more closely we begin to see all the ramifications of our actions, and see that even ‘minor’ theft has affected us all. The fabric of trust is broken and, for example, safeguards to prevent such activity create hassles to deal with for everyone. The third precept is to refrain from misusing our sexuality. Perhaps we have been careless, hormone driven and hard-hearted, harming others and ourselves through our actions. Sexuality can also be used to lure, promote and satisfy an agenda, and all of these uses are unskillful. The fourth precept is to refrain from speech that is unkind or untruthful, and we will be covering this when we discuss the Speech aspect of the Eightfold Path. The fifth precept is to refrain from intoxicants that cloud the mind and judgment, thus making it more likely that we will break the four previous vows. Intoxicants also inhibit our ability to end the very suffering we are trying to escape from by using intoxicants. For each of these precepts, at first they may seem simple but then seem more complex and challenging, but ultimately each becomes a key to liberation. As we let go of behaviors that are harmful to ourselves and others we are freed from the guilt, shame and anguish caused by unskillful, mindless or habitual behavior. Yes, this is clearly a list of ‘don’ts’ or ‘thou shalt nots’ but it’s also more importantly a list that helps us to clarify how we create suffering and how, at the very least, we can refrain from doing so. 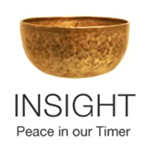 Our meditation practice helps us to develop an understanding of connection, and to be responsible for how we impact others, as well as how we respond when the unskillfulness of others impacts us. Do we give others the power through their actions to cause us suffering? Do we feel the need to make sure others are taking and living up to these precepts? It is important to remember that these are vows we take for ourselves, not to enforce in others and not to become self-righteous, which is surely a cause of suffering. So those are the precepts. If you want to commit them to memory, you could make a simple list of them to have with you to ponder, and to set your intention. As people living in the busy world of infinite interactions we have many more opportunities to err and rededicate ourselves to these vows, so it helps to keep them close. Or perhaps you are not interested in another set of ‘commandments’ and the precepts are not of interest to you right now. That’s fine too. When you are ready for them, they will definitely be available for you! Meanwhile, we are wrapping up our Spacious Action discussion. As I’ve been experimenting with adding this word ‘spacious’ to Right or Wise Action, I have found it to be very useful. I suggested to the class that each meditator take a specific area of action to focus on for the duration of our exploration. I focused on my challenging relationship with food. I had come to a place where I recognized that the marshal law that I had to lay down in order to keep my weight down was not meeting my intention to be compassionate. So I was searching for a way to be conscious and healthy, while appreciating Bobby McFarrin’s line ‘No discipline seems pleasant at the time but it’s painful.’ This addition of the word ‘spacious’ seems to be helping me. For example, I have learned I can simply make more physical space between food and me, as well as more space (time) between the impulse to eat and the actual action. I can make more space between bites, thus slowing down my habitual speed-eating. And I can also have thoughts of food take up less space in my life. Noticing a food thought, I visualize it in a bubble in the space of my mind and allow it to come into a more proportional relationship as I watch it shrink down to a much smaller. This last one seems especially helpful, as part of my resistance to past marshal plan type diets is how all-consuming they become, so that conversations stray off into discussions of diet techniques, life is measured by the bathroom scale, and I’m suddenly all goal-oriented and checking myself out in the mirror every two minutes. I’m just not interested in going through all that, and my body agrees as it has firmly resisted rewarding me with sustainable weight loss on any diet I have tried over the past few years, whereas in younger years shedding pounds was as easy as …well you get the gist. With spaciousness we can pay kind attention to how we react or respond to any person or situation, and notice our patterns of behavior. And if we find they are unskillful, we return to our intention to be present in this moment – not dredging up the past as an excuse for present behavior – and our intention to be compassionate with ourselves and others. As much as we are able in this moment, we act out of these intentions. This entry was posted in behavior, Buddhism, conduct, Eightfold Path, Five Precepts, http://schemas.google.com/blogger/2008/kind#post, morals, principles, Right Action on April 2, 2011 by Stephanie Noble.